Sherwin-Williams stores decided to fade out one of their wood stain brands, WoodClassics, to carry one complete line for all interior stain needs. Minwax is a best-in-class interior stain experience that includes a refreshed and updated master color palette with 48 colors that combines the best of Minwax, WoodClassics and new colors to fill the gaps. 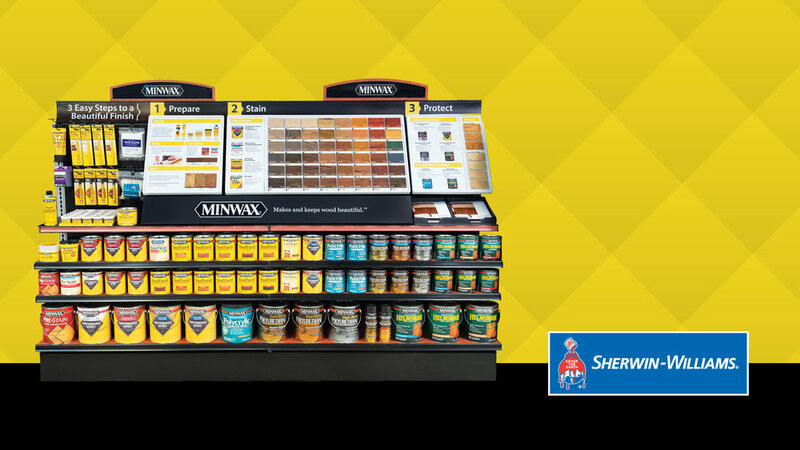 This simplified the color and product selection process for customers, making Sherwin-Williams the destination for interior wood projects. Working with a Creative Director, I designed various pieces to help launch this updated line. 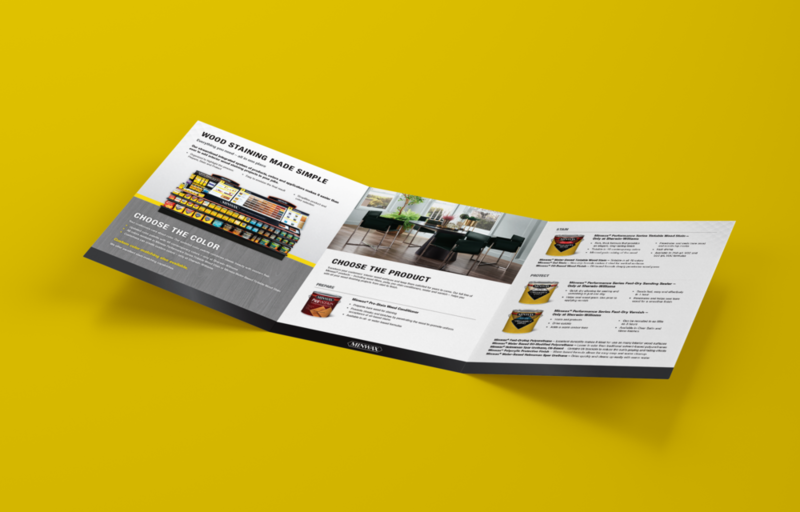 This includes a conversion guide, FAQs sheet, stain matching guide, sell sheets and a detailed brochure. The entire look of the brand was refreshed and modernized with eye catching designs to match the exciting new line of products.